Greenskeeper.org had also set up a “GK Plays” get together as a follow-up to Friday’s main event at Classic Club. 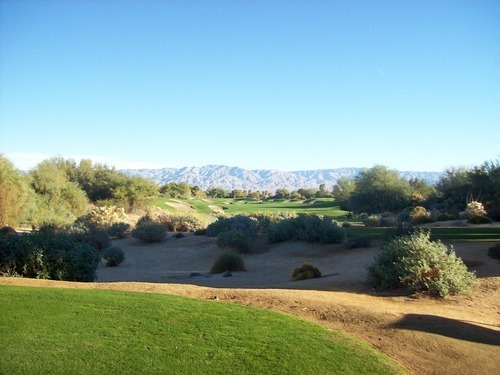 About half of us from the big group stayed the night and played Saturday at Desert Willow Golf Resort. 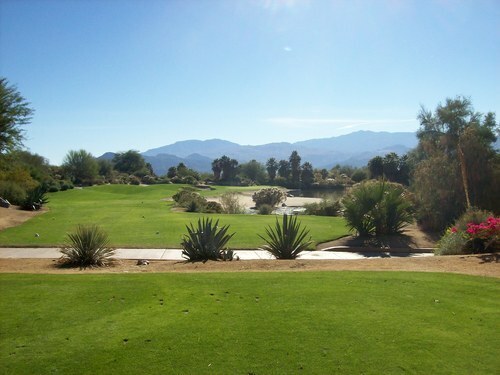 We had a lot of fun at another beautiful desert course on another picture-perfect day. 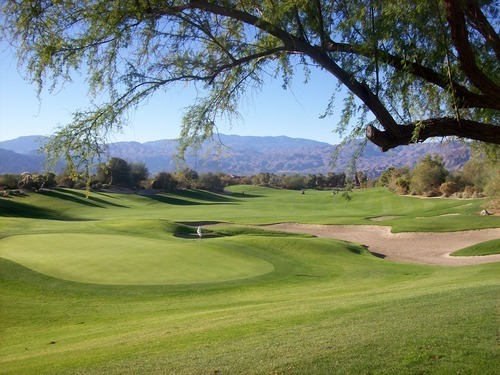 There are actually two courses at Desert Willow. One is Firecliff, which is the one we played and is generally considered the better of the two. The other is Mountain View, and if it’s even half as good as it’s bigger brother, I can’t wait to check it out someday soon. Right now, it’s closed for overseeding and maintenance, but it should be back up and running in early January. 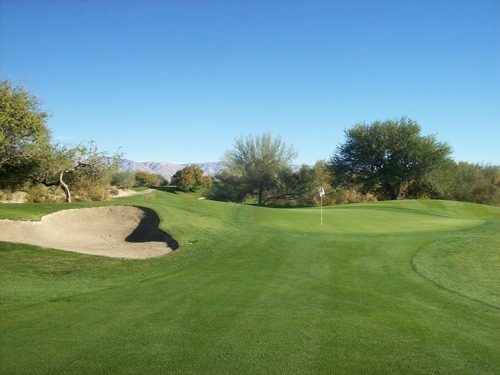 Desert Willow (Firecliff) is generally considered one of the favorites among desert golf enthusiasts, so I was really looking forward to playing it Saturday. 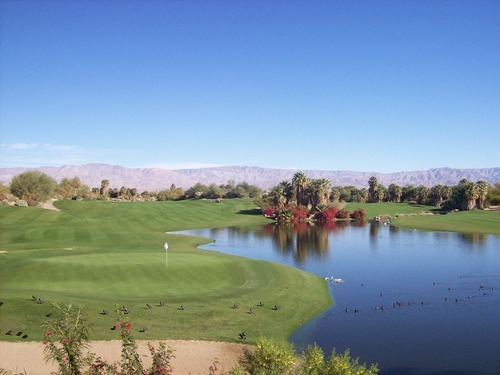 Like all the other luxury golf resorts in the area, it had a big, beautiful clubhouse and excellent practice facilities for us to get warmed up on a chilly morning (I forgot to mention in my last post that Shadow Ridge and Classic Club also had great practice areas and awesome clubhouses, but that sometimes goes without saying in the Palm Springs area). 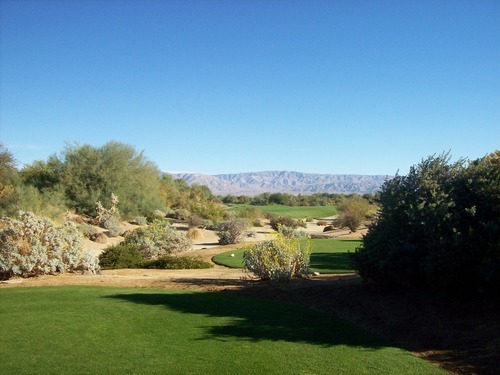 After playing Firecliff, it has immediately shot up toward the top of my list for desert courses. I’m not sure where it will rank when I do my annual rankings next June, but it will be at or near the top. I was impressed with this course on all levels. 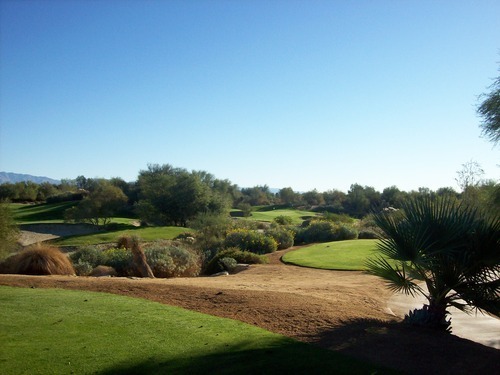 It is a beautiful layout, it’s challenging, it’s fun, and everything about it provided a memorable golf experience. 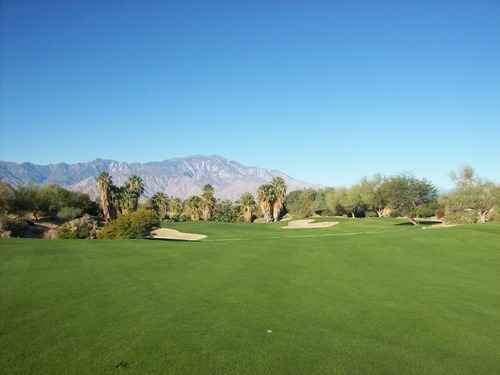 Of all the courses I’ve played in the Coachella Valley thus far, Desert Willow (Firecliff) is by far the most “desert” style course I’ve experienced. 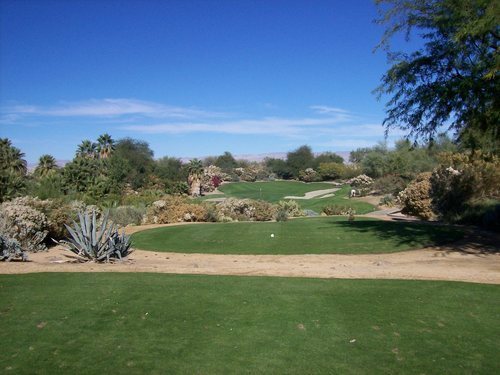 It felt more like an Arizona course (reminiscent sometimes of Troon North in Scottsdale, which I played earlier this year), as it’s beautiful carved out of the desert terrain. 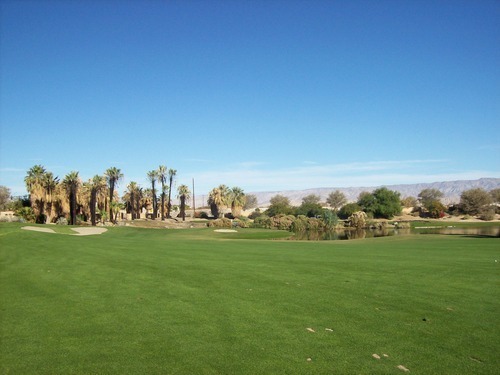 Whereas so many other courses out there strip away a lot of the natural elements to build pristine golf courses and residential/resort communities, Desert Willow embraces its desert setting. 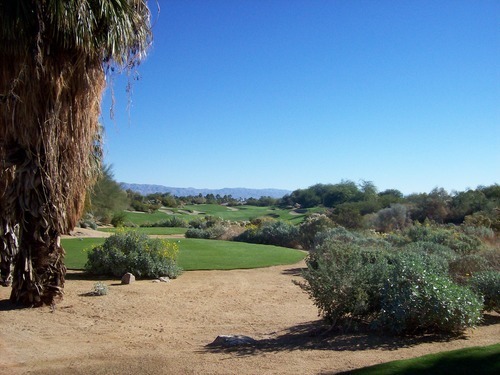 The immaculate green grass of the course is framed well by the harsh desert surroundings (a variety of desert trees, coarse sand, bushes and wildlife). 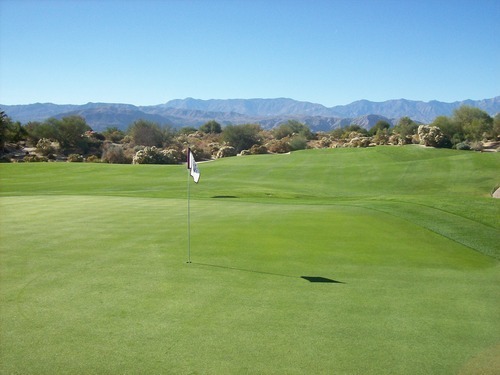 And whether it’s the sand in the desert waste areas or in the many, many bunkers on the course, there is plenty in play. 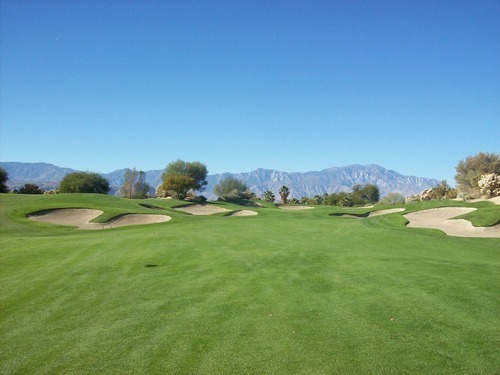 Note: Since I wrote this review, the Firecliff course did go through a slight renovation that saw them removing some bunkers and softening up the design just a little. 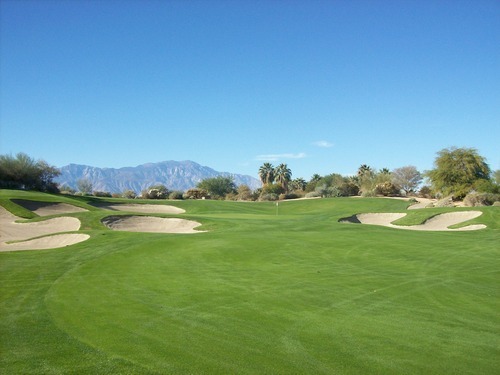 The fairways here feature a lot of twists and turns, going from wide to narrow and back again with bunkers perfectly placed from tee to green that force you to hit good shots. 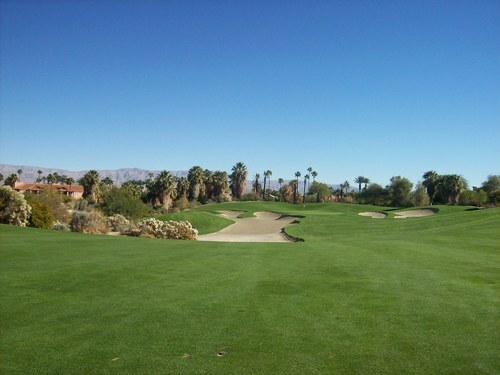 If you are hitting poor shots, this course can be very unforgiving, but if you are hitting your spots it can reward you. When you are standing on the tee boxes, the course looks much tighter than it actually is. 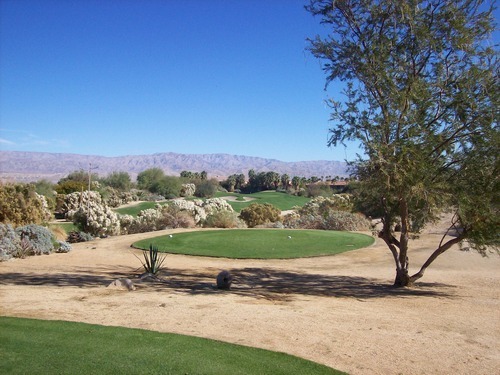 There are no homes around the course and it is very secluded out there, even though you are right in the middle of Palm Desert. 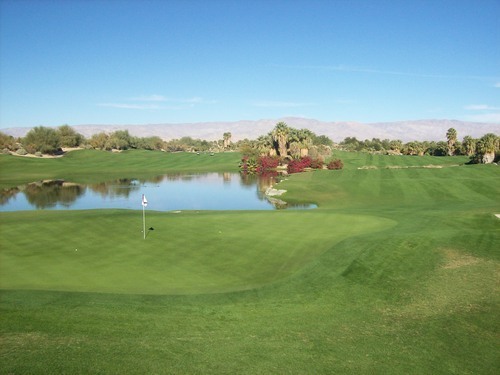 There isn’t a ton of water on the course, but it does come into play on several holes. My favorite holes here are the unique “mirror image” holes that finish each nine. Holes 8 and 9 run along a big stretch of water on the left. Parallel to that, holes 17 and 18 have the same stretch of water running along the right. Holes 8 and 17 are both par-3s, but play very differently. 8 is a relatively short shot and more of an “attack” hole as opposed to 17, which is quite long and is more of a “survival” hole without much room for error. 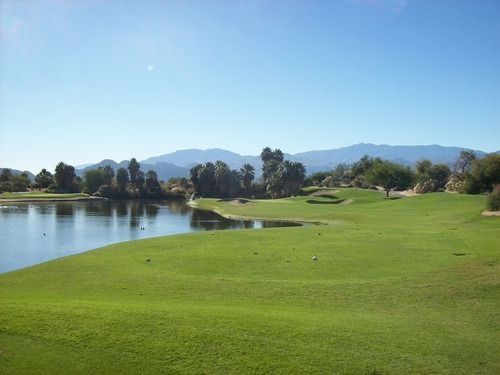 The 9th hole is a long and challenging dogleg left par-4 that brings the water in play on your approach. The 18th is a par-5. 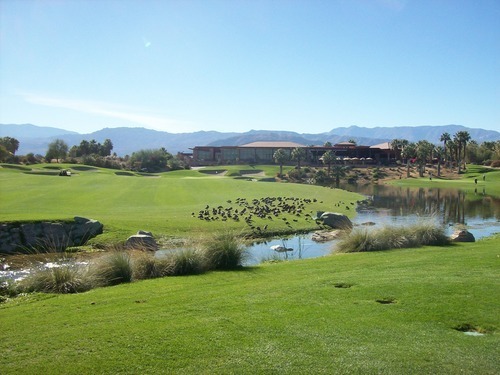 It has a creek bisecting the fairway that gets just enough in the way and then water along the right for your second and third shots. 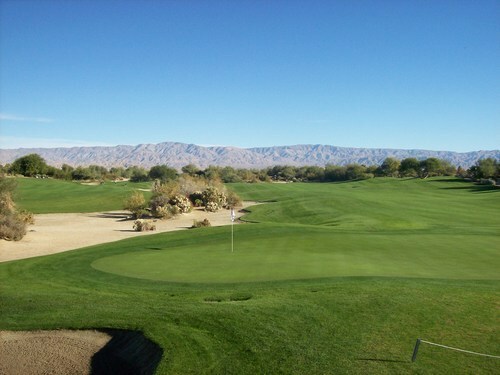 The clubhouse and patio/restaurant overlook both the 9th and 18th holes. That’s where we all hung out afterward for lunch. It’s a wonderful setting for sure. 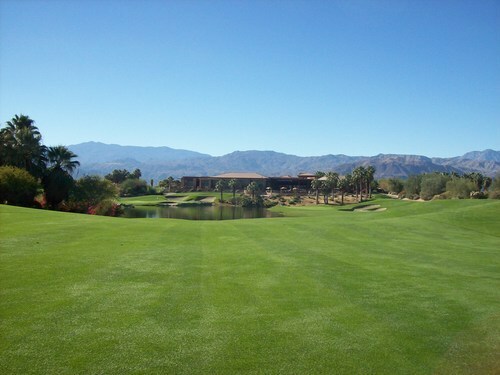 The course was in excellent condition all around. 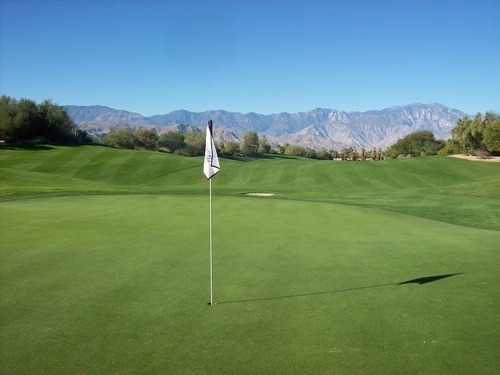 Lush, green and beautiful everywhere with the best greens we played this weekend. They were just about perfect and rolling at ideal speeds. The bunkers had nice sand and rakes that were stored underground. They are a bit inconvenient, but it’s a nice aesthetic touch without rakes everywhere (especially with this many bunkers). I can’t say enough good things about Firecliff. I highly recommend it!